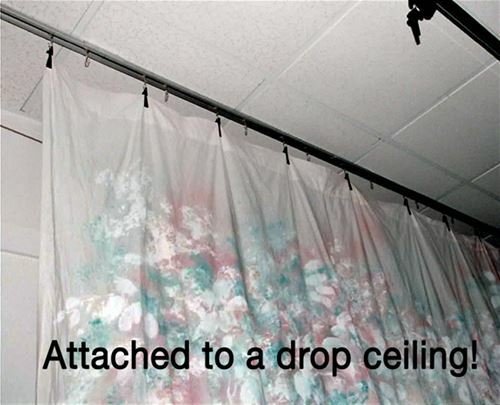 • Light weight satin anodized aluminum track can be mounted on ceilings or walls to move and store your muslin backdrops. 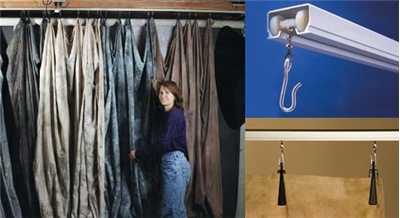 • A series of carriers (Sold Separately) glide your muslin's along the track attached to our black Muslin Clips (purchased separately). 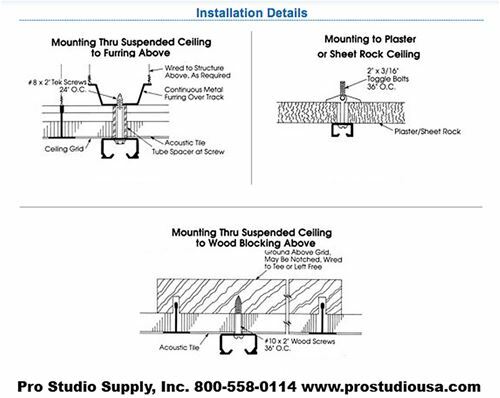 Pro Tracks are easily installed into your ceiling studs with Flat Head Screws or along your walls by the use of L brackets, purchase from your local hardware store. 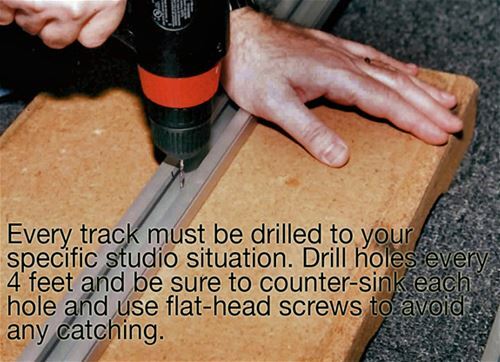 • We recommend you purchase 2 carriers per foot of track or 20 per 10ft. 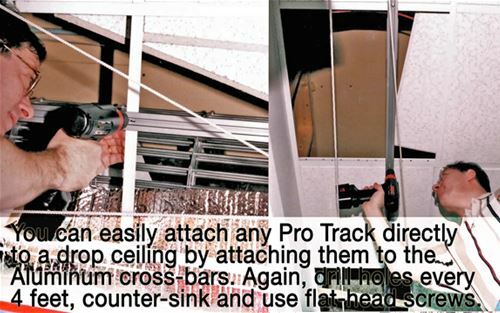 • Speak to our Pro Track reps TOLL-FREE if you have any questions. ALL SHIPPING AMOUNTS WILL BE RECALCULATED FOR ACCURACY! CALL US AT 800-558-0114 IF YOU DON'T LIKE THE AMOUNT CALCULATED BY OUR SHOPPING CART!!! IT WILL BE DONE CORRECTLY FOR YOU! 4ft Straight Track - $28.00ea. 5ft Straight Track - $35.00ea. 6ft Straight Track - $42.00ea. 7ft Straight Track - $49.00ea. SEE LINK BELOW FOR OTHER ITEMS YOU MUST PURCHASE! !